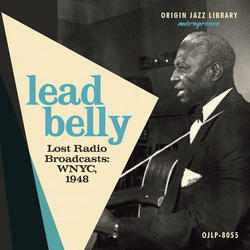 This LP features two previously unknown radio programs hosted by blues/folk legend Huddie Ledbetter (a.k.a Lead Belly). "The Story of Folklore" was a weekly radio program broadcast on Sunday nights on WNYC New York. The programs were recently discovered and acquired by OJL, with the assistance and cooperation of the Lead Belly Estate. Available in a 1950s-styled 10-inch LP with album notes by Lead Belly biographer Kip Lornell with song notes by Lornell and Cary Ginell. Special blue vinyl edition limited to 1,000 copies.